Not quite, but I like to challenge myself each year (read: encourage myself to write for non-day-job reasons) to participate in National Blog Posting Month! 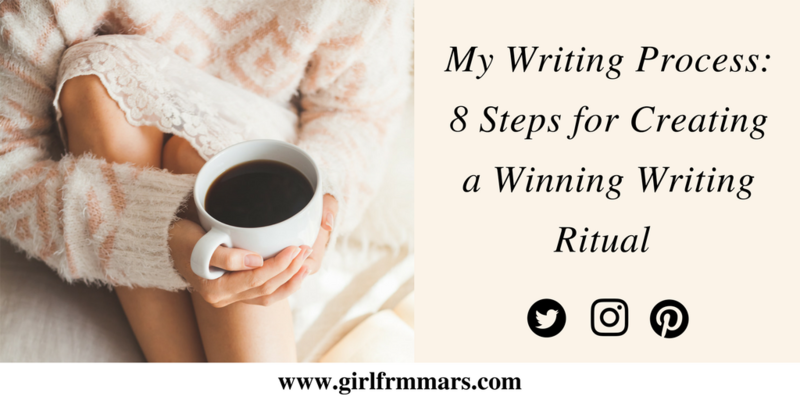 The goal is to write a blog post every day in November, but for me I will consider this challenge a success if I post a handful of times in November. Spoiler alert: It doesn’t always go well. In the past, I’ve used the Nablopomo website and prompts to give me inspiration, but after a quick google search, that doesn’t seem to be a thing anymore. 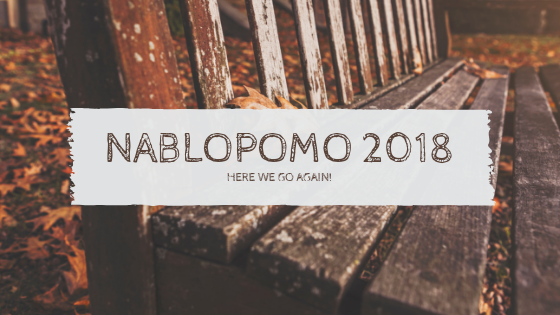 Are you participating in Nablopomo this year? Let me know in the comments so I can link your blogs in my Nablopomo posts! My host sent me an email in early January to remind me that my domain for this blog was expiring. It was a nice reminder that I had a blog, but it was also a reminder that I had a blog and wasn’t actually… blogging. I honestly spent a lot of time thinking about whether or not to renew this domain. I haven’t posted regularly in a few years. I hadn’t written at all in 2016 yet. And people keep telling me blogging is dead. That no one blogs anymore and even if they do blog, no one is reading them. So why bother? Good question. But I’ve always liked the idea of having an easy way to self-publish and I wasn’t sure if I wanted to ditch the posts I’ve collected here. Clearly I decided to renew after all, because you’re reading this (All two of you! Hi, Mom!). I’m going to get back into this blogging business slowly. So I’m starting off with a currently to catch you up! Lots of basketball. A little bit of baseball. And Big Brother Canada. Yes, it’s awful. Oh, well. New Moon. Wait, stop. It’s for a good cause, I promise. My friends and I didn’t suffer enough when we recapped Twilight back in October… Someone thought it would be a good idea to recap New Moon, so… welcome to my hell. Or better yet, check out 31 Days of New Moon over one the Snark Squad website. 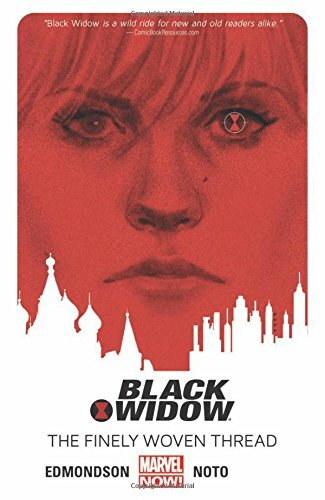 I’ve also been reading the Black Widow graphic novels by Edmondson and Noto. They are excellent. A lot of my spare time lately has been spent developing two new websites. And a few other projects for a returning client. It’s been all work and no fun. But I genuinely enjoy building these things. I’m getting nothing but sexual harassment from my day job, so I’m delving deep into the things that are restorative to my mental health and that’s building and designing. I’m feeling okay. My day job is just not what I want to be doing with my life, so I’m trying to squeeze every last second out of my time spent away from work. I am tired of winter. I am tired of my job. I’m tired of a bunch of things that I can’t really control. It seems like the closer to being done with all of this, the slower time is going. I’m trying to stay focused on the light at the end of this long, long tunnel. We’re getting there. What I’m going to do once my contract at work is up. It is going to be so good, you guys. Reading and BookTube. I’ve been watching a lot of my amazing friends creating some awesome content. Their videos are making me want to read more, which is something I’ve not been doing a lot of lately. Nablopomo 2015, because why not? Thinking I might start and then not finish #Nablopomo again this year. Who’s with me? I haven’t had the best track record with National Blog Posting Month. I’ve tried and failed epically the last few years. But I like the challenge of it. And this year, my goal is to try some of the prompts this year, no matter how ridiculous I think they are, because it’s good practice. I’ve fallen out of writing with direction, so what’s the worst that could happen? So, let’s do the thing again. Or at least… give it a go. Who’s with me? When Ashley was volunteering her writing talents to appear as a guest blogger, I couldn’t pass up the chance to host one of her brilliant posts. A while back, she made the bold decision to out herself as a blogger and I’ve asked her to share her thoughts about coming out of the blogging closet. Thanks for guest posting, Ashley! My name is Ashley and I blog at Writing To Reach You. I’m here today because GFM asked me to write about how I feel now that I’ve ditched anonymity and outed myself as a blogger. It has been more than a year since I attached my full name to my blog, but I still feel like I’m getting used to it. I think because it will never not be weird that I write about my feelings all over the internet. Anonymity is not something you typically have to explain to internet people, but when I first told them about my blog, there were a couple people in my real life who did not understand why I had kept it a secret for so long. Was I ashamed of my blog? Not really. It’s more that making yourself vulnerable is always scary. And I am not a person who normally wears her feelings on her sleeve, so attaching my full name to all of my thoughts meant opening a door that has always been closed except to a few people. That actually hasn’t changed much, so many people in my life learn more about me from reading my blog than from talking to me regularly. I loved being anonymous. People always talk about how the internet lets you pretend to be whoever you want, but for me it was the place I was more myself than anywhere else. I hate to sound like a contestant on a reality show, but I did not come here to make friends. I didn’t know that making friends was part of blogging when I started. So I just wrote about myself as honestly as I could, and this weird thing happened where people started liking me for being me. I have been fighting my whole life for the feelings of authenticity that blogging gave me almost immediately. When I decided after three years of blogging to leave anonymity behind, I told myself that I could take as long as I wanted to grow comfortable with it, but I could not stop writing the things that were important to me. I watched a lot of people grow more professional with their blogs and start using their full names only to slowly stop blogging, and I refused to do that. Writing personal essays is my career ambition, so I figured that now was as good a time as any to get used to having people read my most personal thoughts. Anonymity had its limits, and after a while it grew boring to me. I try to remember that when I encounter the challenges of writing under my full name. It is such a normal part of life to be different things to different people, and the internet (even if you only use Facebook) really threatens that; sometimes it’s as petty as not being able to complain about someone from one part of your life to the people in another, because everyone has access to the same information. So I depend more on close relationships with friends to get frustrations like that off of my chest, instead of shouting them blindly into the twitter void. And when something is really bothering me that involves other people, I have to be thoughtful about how I write about it. But, I do write about it, because it’s my story and I want to share it. This is how I choose to live my life, so I accept the challenges. I don’t miss being anonymous. I would never trade in those years I had as Ashley from California, because they were so important to my life and to my writing, but what I’m doing now is riskier and more interesting to me. So, I’ve tossed around the idea of finally registering a domain and using my some of my skills to set up a blog that I could customize and play around with. I wanted something that felt more me (read: customizable) and was looking forward to dropping the ‘blogspot’ bit from my blog’s url. No offence to blogger, we’ve had a good three years together. I just felt that it was time to move on. In true GFM style, I thought about it for a long time, trying to decide if I would stick to this particular handle, if I really wanted to actually register a domain, if I was going to take the time to set it up and whether or not I would actually use it, because, let’s be honest, I’m a sporadic blogger at best. But as someone pointed out to me when I was voicing this out loud, they’ve always known me to be the girl from Mars, it fits. I do have the ability to register, set up and customize a new blog. And maybe that would encourage me to be less sporadic and more purposeful about posting. Once I’d finally come to all those decisions, again, in true GFM fashion, I had registered my domain, set up my host, installed WordPress on it, browsed for a theme, installed that and began adding my badgets, widgets and list of favourites to my blogroll. It may take me forever to finally come to a decision, but once I do… I move fast on it. That would be my long-winded way of saying, welcome to the new home of GFM’s blog, folks. I reckon I’m going to like it here.